This painting is in the "Portraits of Influence" series. The Charles Darwin portrait is painted in an Old Master's style. This painting is in the "Portraits of Influence" series. 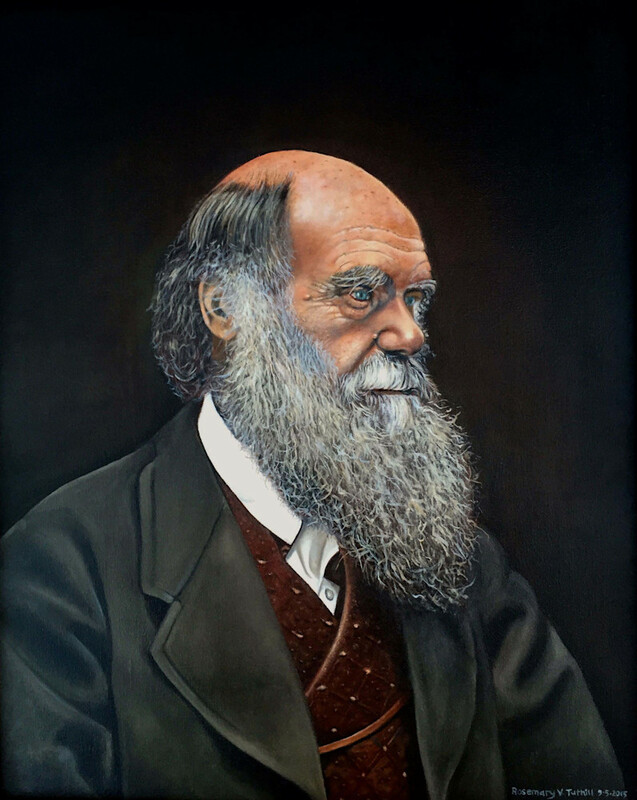 This 20" x 16" painting by Rosemary Vasquez Tuthill of Charles Darwin is represented in an Old Master's style; and is based on a black and white photograph thought to have been taken in the late 1870’s. As the originator of the concept of natural selection, Darwin is the first of the evolutionary biologists. His principal work, The Origin of Species by Means of Natural Selection (1859) was - and still is - discussed the world over. This Charles Darwin portrait is painted in an Old Master's style.